Enjoy Utah! 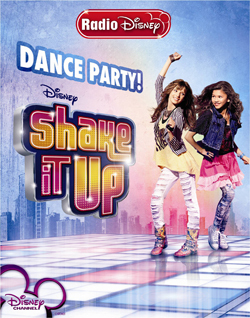 : Shake It Up Dance Party TODAY! Shake It Up Dance Party TODAY! Join Radio Disney AM910 for The Biggest Dance Party of the Summer. Come Shake it up at Valley Fair Mall from 4pm-6pm. The Road Crew will be playing games, dancing and giving out great prizes!